So the other week I was searching online for something I could bake, I was was limited ingredients wise and stumbled upon this recipe and oh my it is amazing, I did ignore a few of the instructions but sssh. 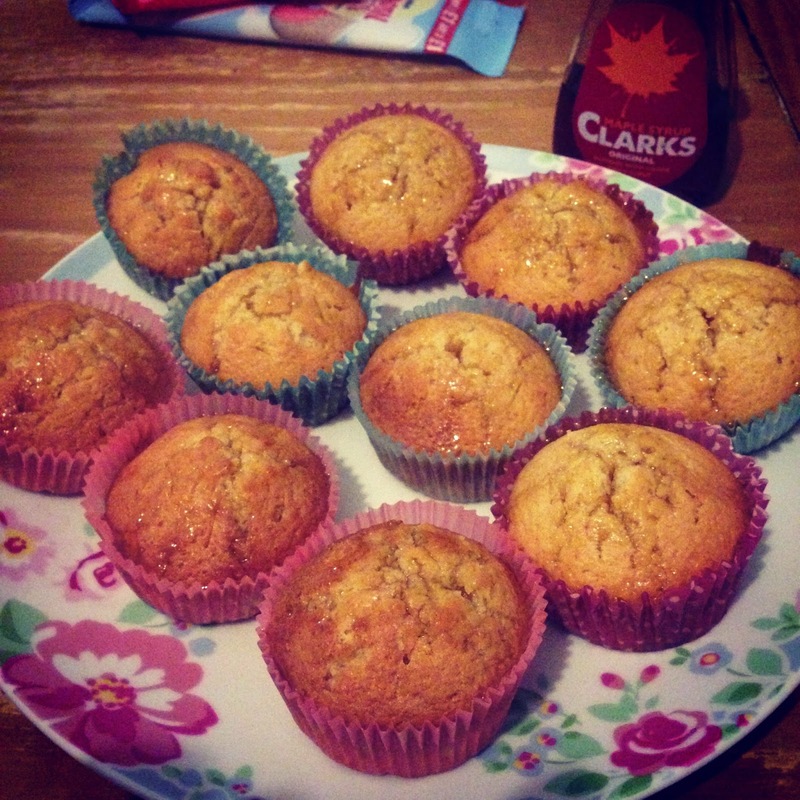 The cakes were amazing, they tasted a little like scotch pancakes but muffins at the same time, what is up with that?! 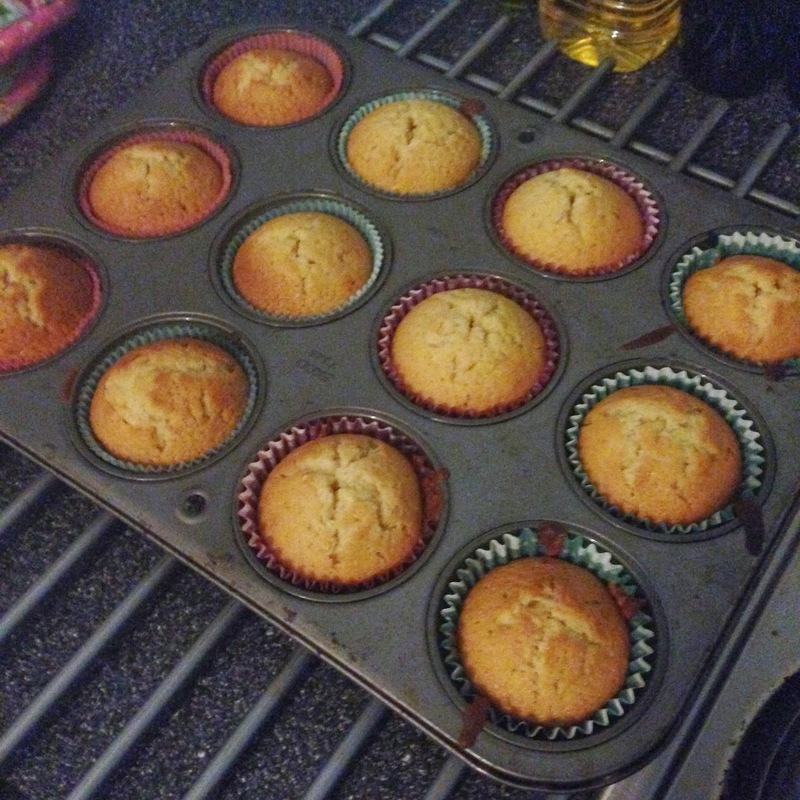 Preheat your oven to 200 for fan assisted and line your muffin tin with cases. In a pan over medium heat, heat the butter until it's melted this took me about 4 minutes, you then continue to cook it stirring constantly until the butter is a golden/dark brown colour. Remove the pan from the hob and leave to cool a little. In a bowl whisk together flour, sugar, baking powder and salt together and set to one side. In a separate bowl whisk together the milk, egg, egg yolk and maple syrup. Then slowly whisk the butter in. Divide this amongst muffin tins and bake until golden for about 20 minutes. Once cooked and cooled poke a few holes into the top of your cakes and get pouring that syrup on the more the better yes? To serve you can either eat them like this or warm them up for a minute in the microwave and add some cream and it is perfection! Let me know if you try this recipe out, I wasn't quite sure what to make of them at first but now I love them! Have you got any recipes you think I should try out?